Kimbourne Park: Building community & growing local food with a permaculture garden! "Moving from the country to Toronto, I found the concrete, congestion, and visible disparities between rich and poor overwhelming. 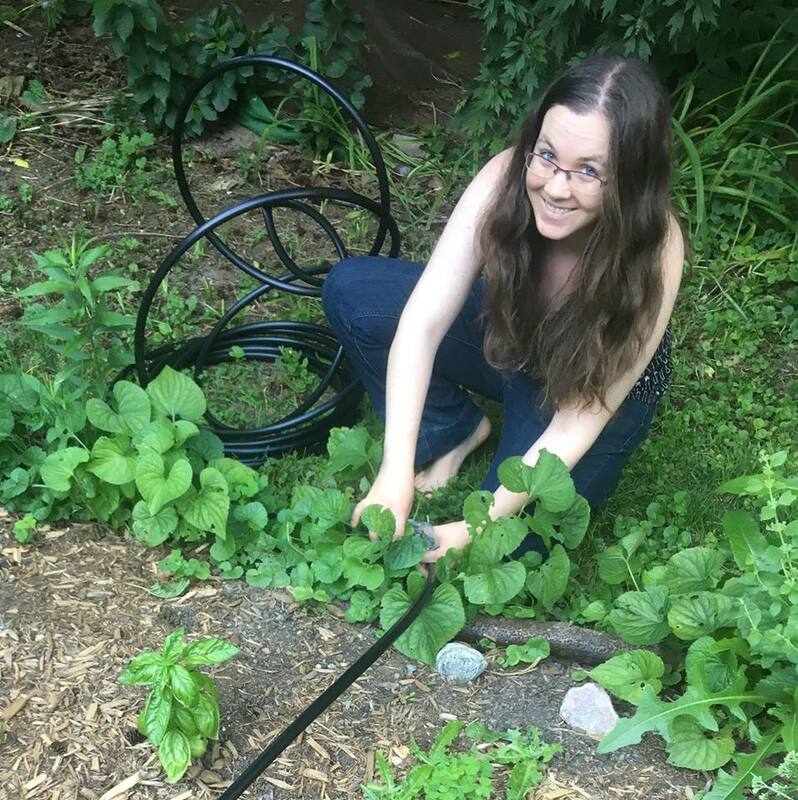 I desperately missed the feeling of being rooted in a community, so I soothed my feelings of disconnect by putting down roots—literally. I had gotten interested in food justice because it encompasses all the causes I care about most: poverty, environmental restoration, health through access to good food, even policy-making around our food systems. In 2014 I worked up the courage to attend a food justice event downtown by myself. That’s where I heard the word “permaculture” for the first time, and I discovered that people around the world were already growing food in ways that made the earth and their communities healthier. That we could turn farms into ecosystems instead of machines. That people could be a part of the living ecosystem and not its enemies. That making enough healthy soil—something incredibly easy to start doing—could even pull us back from the tipping point of climate change. I devoured every book, video, and podcast I could get my hands on. I started volunteering with a local group called Permaculture GTA. And when I found out the church I’d recently started attending had a big, unused lawn, I screwed up my courage once again and asked if I could use it for a secular community garden—something that was connected to but separate from the church so that anyone, regardless of faith, would feel welcome to join. The church was incredibly supportive, and some of its members helped form the initial committee that planned the goals of what became [email protected] Community Permaculture Project: to grow food and community using permaculture principles, to spread food education through free workshops and events, and to donate at last half of the year’s harvest to a local food bank. Today, members of the community make up half of [email protected]’s leadership and most of our members. Most people come to us with no gardening experience, but they are eager for the same feeling of rootedness that I craved for myself. One of my most rewarding moments was putting a packet of seeds in the hands of a young woman who, a year before, was completely inexperienced and terrified of doing something wrong. “Check the directions and plant them over there,” I told her. She grinned and walked confidently away." Learn more about this awesome cause on [email protected]'s crowdfunding campaign page and video below!